← If I Were A Paint Company I’d Have … A Holistic Paint Color Collection! 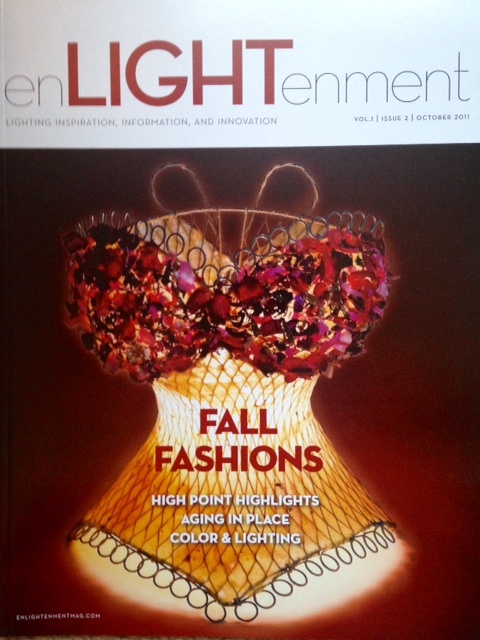 I wanted to share an article that that I was featured in back in the October issue of enLightenment Magazine 2011 to see how the color trends that I talk about then compares to the popular colors now. Linda Longo, a facebook friend of mine and Editor director of enLIGHTenment Magazine, was nice enough to feature me in this issue (2011) that was distributed in High Point Furniture Market. She did such an amazing job with this Q&A feature and I want to recap it today. 1.When using lighting in a room with all-white decor — let’s say a kitchen and a living room — what do our readers need to keep in mind about how the color white (and so much of it) affects light? Do those considerations change whether the wall is in a flat white or a high gloss? If so, how. Linda, I first want to thank you for inviting me to answer some of these questions for you. Lighting really plays a huge part of my color consultations because it’s really all about the lighting and color choices that will work with it. If a client has poor lighting in the home, I really have to compensate for it, I’ll show you how. In the perfect world there would be all natural light 24/7 but that’s ludicrous of course! With all the different types of bulbs and lighting fixtures in today’s homes, choosing color to compliment it really has become an art. I’d love to share some of my experiences of how lighting is such a vital part of my color consultations and how it affects the color choices I make for my clients. Now as far as white, I have never chosen white for a wall color for a client in 20 years! Do you believe that? I’ve come close with one client who wanted her entire home various off whites and creams but it seems they really stray away from using white. Now keep in mind, these are clients I’ve had over 20 years reaching from Long Island, NY, Pittsburgh, PA and now Charlotte, NC. They ALL wanted to cover up the white and replace it with color. Now I know some of my Designer friends are all about white and that’s their signature color but in case of this Color Specialist, really, there’s very little white. So in reference to white kitchens and living rooms, white is bright enough on it’s own and it only amplifies with lighting. Not many people want to start their day in a stark white kitchen or end it trying to relax in a white living room. I think most people prefer the right color choices and a combination of direct and accent lighting to highlight their room’s architectural features or to accomplish a subdued mood for a room. Both color and lighting need to work together to complete the look of any room. Having said that, whether it’s white, cream or beige, lighting will ALWAYS play a huge roll in the color choices. 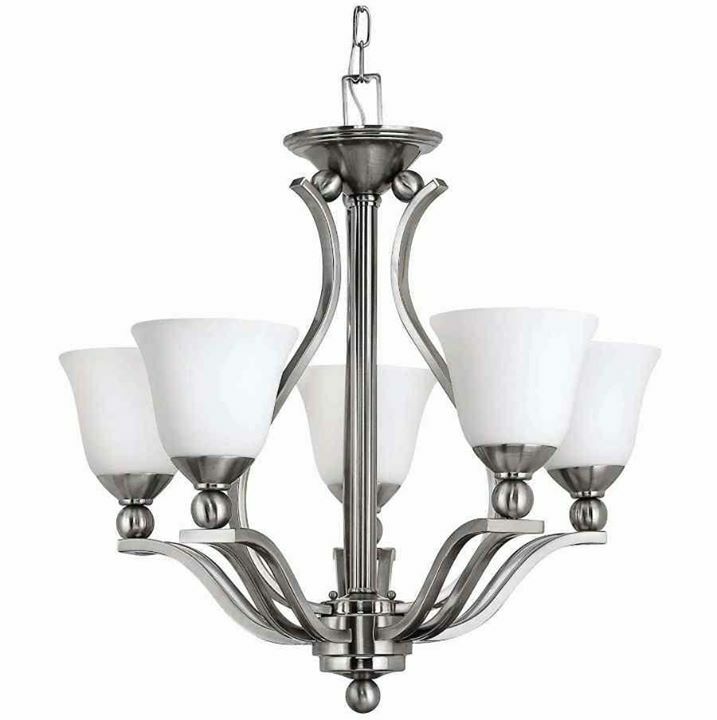 Lighting fixtures, styles, lamp heights, shade colors, bulbs, windows and room exposure are the first elements I look at even before I have the color swatches in my hand. It’ll be the deciding factor to whether I used warm hues or cool hues. If a room casts too much yellow lighting either from the bulbs or shades, than it would be best to pull back on those warm undertones. 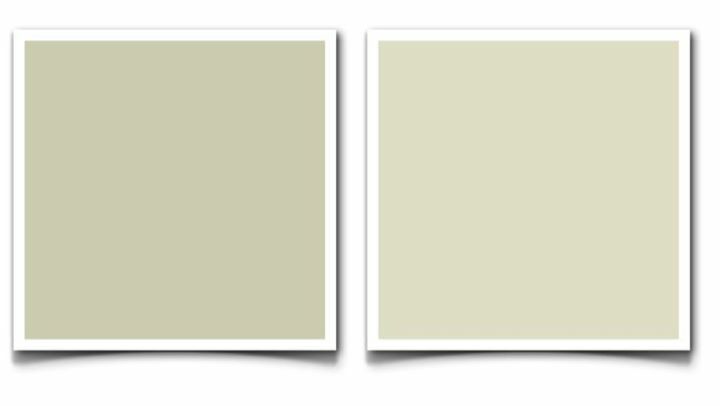 I wanted to use the color on the left, which is Moon Shadow 1516, a Benjamin Moore color. It had the right undertone to match her décor and the rest of her existing color palette but the tint had to be much lighter to optically lighten her room. I used the Natural Elements 1515 the lighter color on the right. Even thought Natural Elements looks a lot lighter here, it was very deceiving when viewed in her home. It looked several shades darker than it actually was and that was because of the type of lighting she had. Now this is where lighting comes in. Not only did she have very limited natural light but she didn’t even have the proper lighting fixtures to counterbalance. As always, I check with the client to see if they will be replacing the lamps, bulbs or chandilers and if not, I have to work with what they have by adjusting the “lightness” of the color to compensate for the lack of proper lighting. So when I have a color consultation, I choose the color while I’m in the client’s home to make sure the color and lighting are the perfect fit for the room. This actually brings up a point of virtual color consultations and exactly how accurate can they be without the designer present to survey the lighting. I know a good designer, and I’ve done virtual designs myself, can compensate the color choices by knowing the lighting conditions in a particular state but this is not always true. *I feel, you really need to be present to see what type of lighting the client has in their home and how it plays off their décor such as flooring, furniture etc. Like I said earlier, this will determine what type of color you’ll need to best fit the home. *an experienced Virtual Designer knows how to adjust colors according to the lighting needs of a virtual client. This is what my virtual service provides. What type of lighting works best when choosing colors? Now this answer will vary depending on the Designer you ask and where you live. For me, this is the perfect lighting fixture. It has the brushed nickel finish, which seems to be the desired finish at this time in Charlotte and most importantly, it has etched alabaster glass. Etched glass is non-reflective so it’s easy on the eye, won’t spotlight on a painted surface and the color won’t alter the undertone of any of the colors I choose. Another great feature to have in any lighting fixture is to have the light source pointing up to the ceiling. Nothing is worse than being blinded by a bulb when sitting at your dining room table from down lighting. 2. When working in a room that has two or more walls in a bright color-dense hue like orange, red, navy etc, how does this affect the choices for the other finishes in the room (including lighting). Can such bright colors “turn” or change other colors and finishes used in the same space? 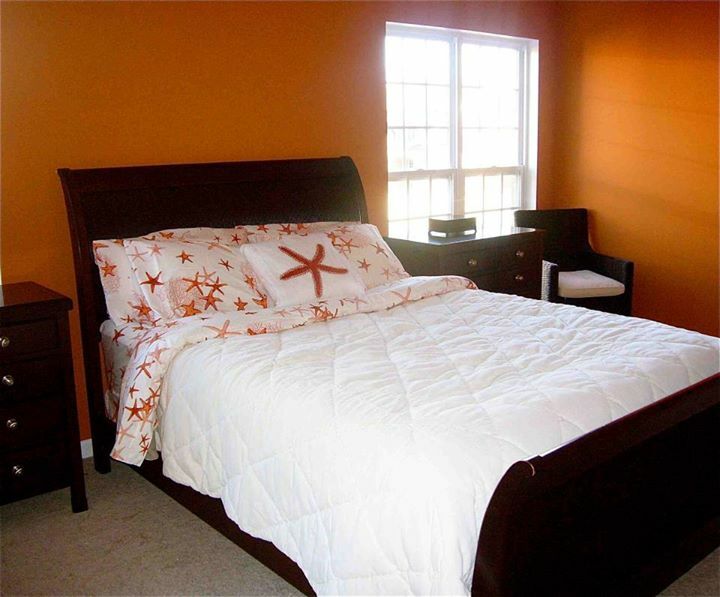 Here is a master bedroom I did in a very vibrant orange. The one huge factor in this room is that there was 100% natural lighting, which you can see by the open windows. My client did have accent lighting for nighttime but all colors transform at night. It’s the daytime color that has to be nailed. So in this case, if you have a color-dense hue such as orange, natural lighting will really work in your favor. Orange can really cause havoc in a room. Not every décor can pull this look off but luckily for this client, they had black furniture, which in my opinion, is optimal for this hue. Once you get into oak and mahogany furnishings, they really start to fight each other resulting in an unsettled look for your room. 3.Tell us a bit about your color philosophy as it relates to interior design….. when do you use a lot of color in a room (when it’s large? or very small? To divide up a space?) ….and when do you use color as accents? Choosing a color palette for a home is so highly customized. I really just hone in on the feeling a client wants for their home and try to design a color scheme to capture that. You’ll hear them say “I want it cozy” or “I’d love something light, bright and relaxing”. Very rarely do I hear a client say they want a green kitchen or a blue bedroom or a yellow living room. So you see, color is not just blue, green and yellow but more so comforting, safe and contentment. This year I’ve had some clients who suffered horrible losses in their life so I designed what I call “Colors That Heal”. They are extremely color specific! It’s hard to describe here in black and white but they are hues that are chosen based on how the client feels when they see the color. These consultations take twice as long because we talk about the color, talk about the room it’s going in and then I evaluate how I see the client respond to the color. It’s really getting into the nuts and bolts of color and Psychology. There’s only one room in the home were I usually use a lot of color and oddly enough, it’s the small guest bathroom. You’re familiar with the lower level, dark, very small bathroom right beside the kitchen? This is the room that most people say, “This room is so small and I’m not sure what color it should be.” Well you can paint this room white and it’s not going to change the size. So I say, “Give it a great color and a lot of it!” The color I choose for this room is a medium to dark tone and I put it on all 5 walls –yes, the ceiling too! Doing this makes the room cozy and elegant. It also doesn’t really matter what type of lighting your have either. You can have a bright light or a just an accent light. Keep in mind it’s just a guest bathroom and we all look beautiful in candle lit rooms. 4. Are there color “rules” or guidelines when it comes to decorating a very contemporary spaces versus a highly traditional one? What’s your rule of thumb when it comes to helping a client decide on an appropriate color for their room? My #1 decorating rule is that I don’t have any rules. All my color palettes are highly customized and never duplicated. Each home of course has different lighting and décor so this allows for originality in each home. Sure there’s always a top 10 of most used colors but never in the same sequence. Many of the homes here in South Charlotte are very large and have open floor plans and the newer homes have a tendency to follow a more contemporary flair. With an open floor plan the colors have to flow from room to room. You may be able to see up to five rooms from standing at any one given point. That’s a lot of color so you better make sure they are the right colors. If the home is more traditional, than I usually pull a universal or coordinating color from the area rug to really tie in the color scheme. The photo shown here is before the room was painted. I picked up the beige color that can be seen in the area rug in replace of the green wall color. 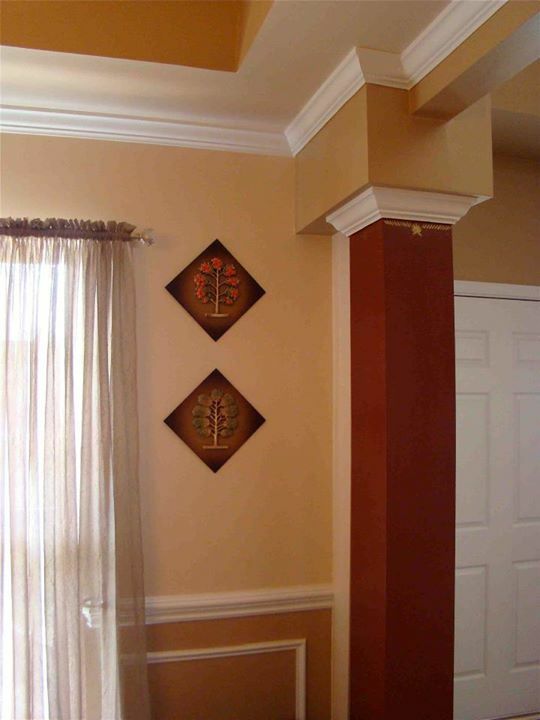 This is also an older home so the client wanted to lighten and brighten her home as well. What would my rule of thumb be when it comes to choosing color? I try to choose a color palette that really ties in the look of the home. I know that sounds obvious but you can choose a brand new trendy color palette or you can choose a color palette that really looks like it belongs in your home. What does that mean? I try to save the client as much money as possible. Sure I can show them the latest and greatest in color trends but their décor will NOT match. So, now they’d have to go out and buy furniture to match the new color scheme and meanwhile, their home looks very unsettled. There’s a happy medium when creating new trending colors for your home and also having them match and coordinate with your current décor. It’s all about thinking outside the box when it comes to color but also knowing when to pull back the reigns just a bit. It’s similar to which came first, the color or the décor? You’ll never know. 5. Black is making the rounds in designer magazines as a wall color, or for kitchen cabinets, and powder rooms. What should consumers and lighting people know about working with black or very very dark saturated browns or navies? These are fun colors to work with but not every client feels comfortable with that much pigment. My basic rule of thumb here is balance. When you have a wall or accent feature that is a dark hue, just balance it out somewhere else in the room at different levels. Have a “top, middle and bottom” so the color flows and the room balances. 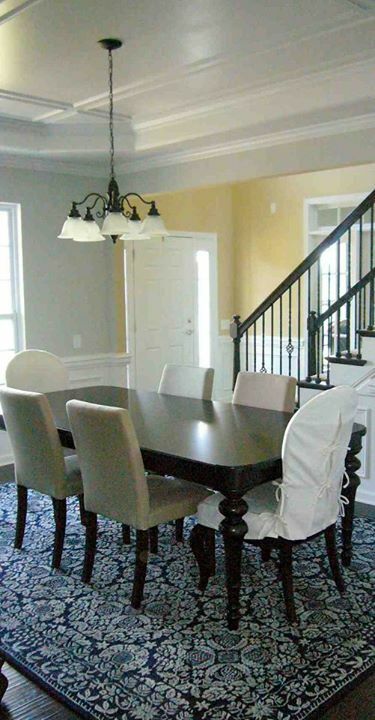 For example, you can have a navy accent wall but have navy somewhere else in the room. I would have a floor lamp with a navy shade, this will bring your eye to the middle of the room then I would have navy in an area rug, accent pillow or throw blanket and that will bring your eye down to the floor. So you have high color on the wall, middle color in a lamp or even artwork then your eye comes down to the floor. It’s a simple formula to follow when working with strong color. 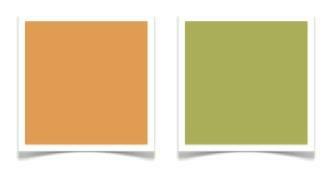 6.What colors are “in” right now (2011) for interiors and which colors are emerging/becoming more popular for 2012 and beyond? What should lighting manufacturers be aware of (regarding color trends) when designing products/finishes for 2012 and beyond? The colors that are holding fast since 2010 are the soft, gray muted blues, greens and creams. Here’s a typical color scheme that’s been trending for the last two years here in Charlotte, NC. 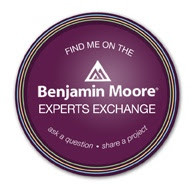 I recently traveled to Long Island, NY and stopped off at the Benjamin Moore store in Port Jefferson. I asked the store Manager what colors were trending there. He replied, “We are selling a lot of sage green, soft blue, beige and gold. People really gravitate more so to the Historic Colors too.” So you see there is a similarity in hues from New York to North Carolina. There seems to be a common like for these coastal colors and the highly requested “spa feel”. Works for me! As far as upcoming colors, I’d love to see “orange” come in ranging from light peaches to the spicy and exotic vibrant hues. They are the perfect companion to both blue and green and can be used just as an accent color or full wall color to update these trending color schemes. As far as lighting trends in the future, that may get a little complicated. I guess we’ll have to sit tight to see what the light bulb restrictions will be. I feel eliminating traditional incandescent bulbs and switching solely over to LED’s (light-emitting diodes) or CFL’s (compact fluorescent lights) will have an impact on how colors will be viewed in our homes. Lighting products are not only an obvious source of light for our homes but they also provide ambiance, mood lighting and also color as accent features in our homes. I would love to see technology zero in on perfecting the use of the light bulbs in conjunction with dimmer switches. My ultimate dream would be to see lighting manufacturers design products in new finishes. Why just brass, satin, pewter, bronze, brushed nickel and variations of that? I would love to see a brushed nickel with an undertone of green, blue or red. Why not? You have denim in all colors now where blue jeans used to be just blue. I say let’s get color into standard products and finishes and start thinking outside the box. So. How did I do? Seeing any peach, orange or spicy hues in you home? Since this article published in 2011 Sherwin Williams crowned coral as their color of the year and Benjamin Moore chose Guilford Green as theirs. Not to far off I’d say then again, beautiful hues will always be in.